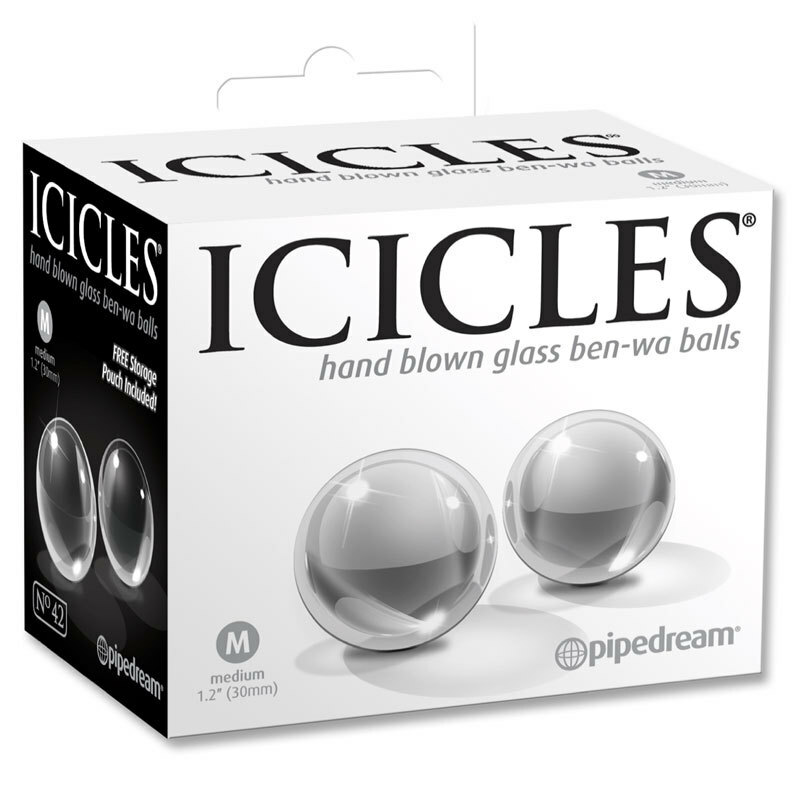 Elegant upscale and hand-crafted with amazing attention to detail these luxurious glass Ben-Wa balls are made from borosilicate glass and designed to last a lifetime. Their size and weight make them perfect for vaginal stimulation and exercise use and the nonporous glass is hypoallergenic and body safe. With regular use you'll enjoy improved muscle control and stronger more frequent orgasms. Run them under warm water or place them in the microwave to heat things up. Chill them under cold water or put them in the freezer for a cool sensation. Cleanup is a snap after the fun with Pipedream toy cleaner and warm water.